Since it was Kids Clothes Week (KCW), decided to make my older daughter another top. 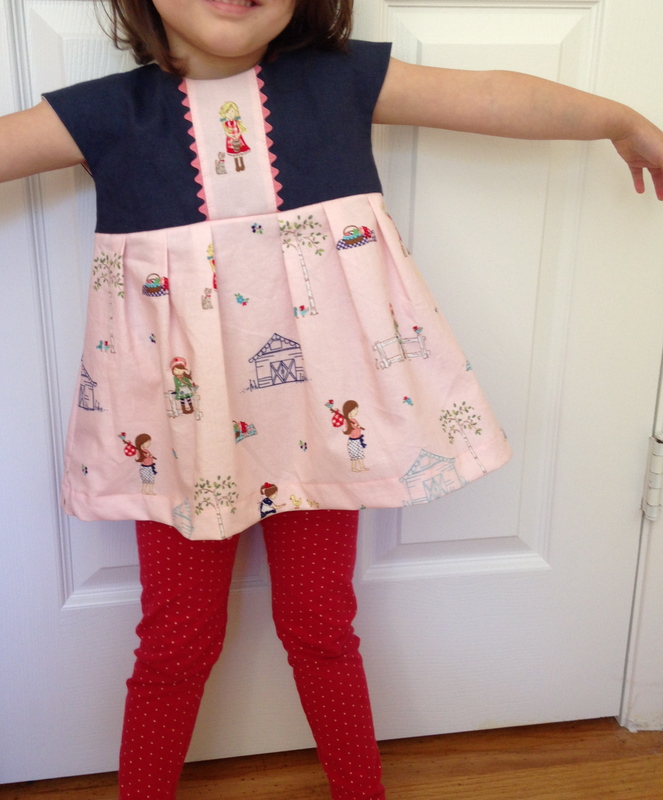 This time I used the Geranium Dress pattern, but used the top option with pleats and faux cap sleeves. The theme for KCW this season is Storybook. I had so many ideas, but what I ended up doing was using this adorable stashed fabric, Main Pink from the Country Girls collection by Tasha Noel. I didn’t know what I was going to use it for, and the images on the fabric remind me of the illustrations in the book Raindrop, Plop! which are just super adorable. I highlighted my daughter’s favorite image from the fabric (of course there was a cat), and I used some vintage ric rac I had on hand too. The blue fabric for the bodice is a blue linen remnant. I have so many remnants in my stash. 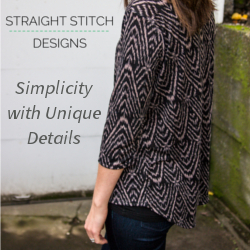 They’re so cheap, I can try a variety of fabrics out, and the small amounts are great for small clothing! I used 3/4″ fabric covered buttons as well. I just love that extra bit of detail, and they are soooo easy to make. I was only able to finish this and the cat silhouette top during KCW, but I’m halfway through a superhero costume for the older one. Her baby sister is going to be a villain, but I’m a little stumped at how I’m going to do that one. I’m thinking a stretch vinyl hat with cat ears, but I don’t know if that’s too optimistic. I guess we’ll see since I only have like 5 more days! I know, huh? She’s crazy about it too 🙂 We’ll need to wear it to storytime now!